Pack #1: Since 2009, Yvel & Tristan's productions were released on labels like Steve Lawler’s VIVa Music, Gregor Tresher’s Break New Soil, Butane’s Little Helpers, as well as Frank Lorber’s Nummer Schallplatten. Their first sample pack. "Yvel & Tristan From Deep To Techno - Exotic Samples 014" features 231 loops and one shots in wav format (44.1 kHz, 24-bit), ready to use in your deep house, tech house, techno or any other underground productions. Pack #2: ADE Sample Pack by Pysh (Einmusika, Traum, Defected, Get Physical, Hafendisko, Steyoyoke, Manjumasi) features 74 loops in wav format (44.1 kHz, 24-bit) ready to use in your deep house productions. 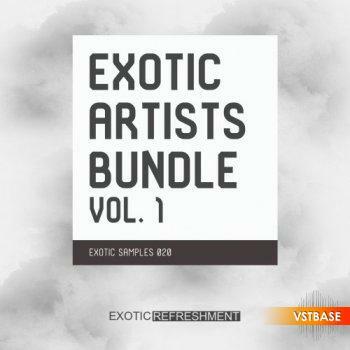 Exotic Artists Bundle vol. 1 includes 889 MB of Bass Loops, Drum Loops, Musical & Synth Loops, One Shots and Vocal Loops.